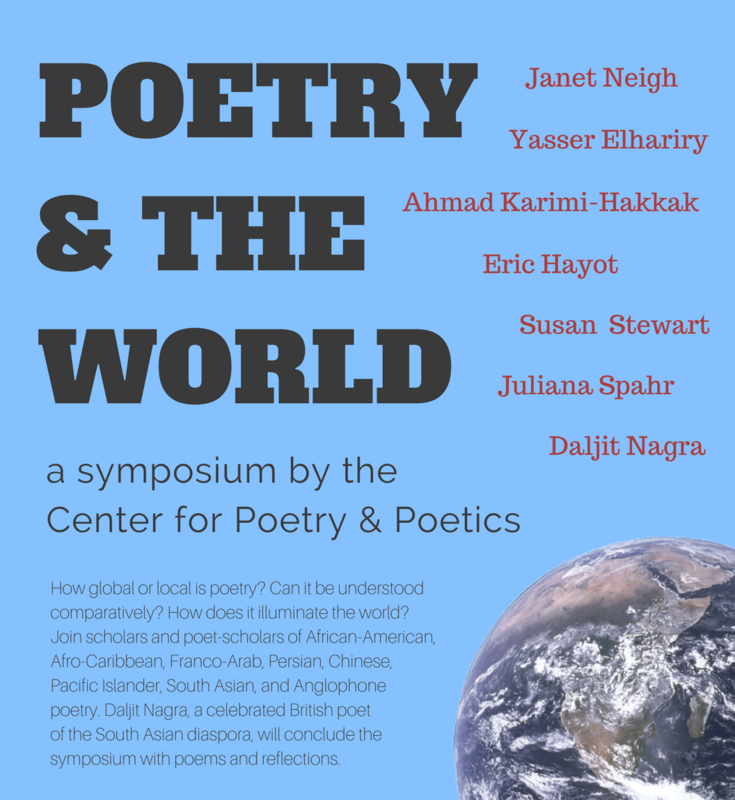 Please join us Friday, April 6 for “Poetry and the World,” a symposium hosted by the Center for Poetry & Poetics. This event will bring to grounds a group of internationally renowned poets and scholars for a day of panel presentations and interactive discussion. It will conclude with a poetry reading and reflection by the British poet Daljit Nagra, whose Look We Have Coming to Dover! won the 2007 Forward Poetry Prize for the best first collection.